Shipping info: Free shipping within EU. All other countries are subject to additional duties and charges. 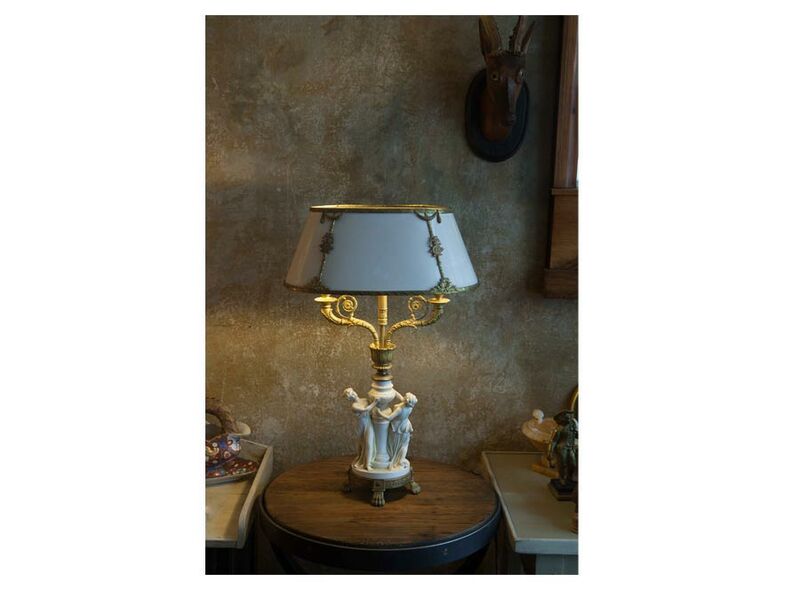 Product information "French White Desk Lamp"
An elegant white desk lamp made out of matt biscuit porcelain with a delicate tranparency and gilded brass. 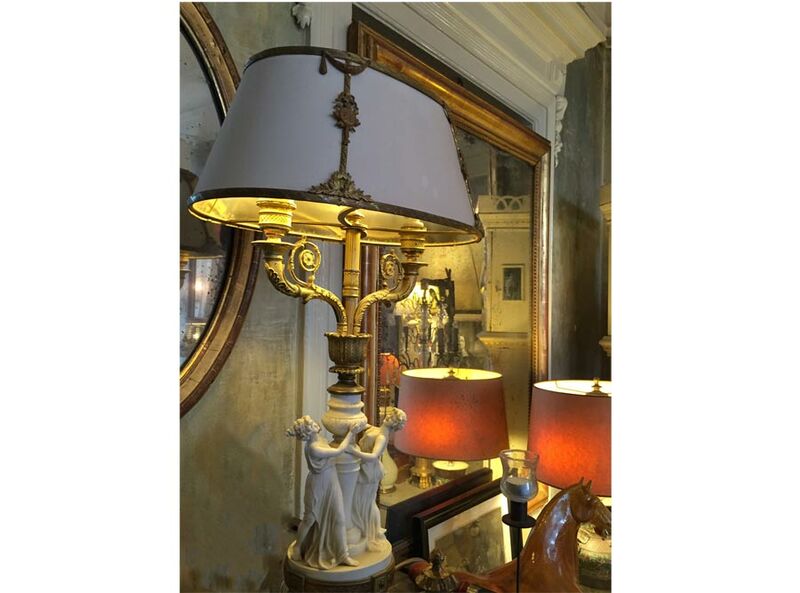 An absolute unique piece, the lamp is embraced by two lovely ladies dancing around its base. Not a bad way to spend an afternooon! Please note, one of the ladies did overdo it slightly on the dance front and there is some damage to her arm. 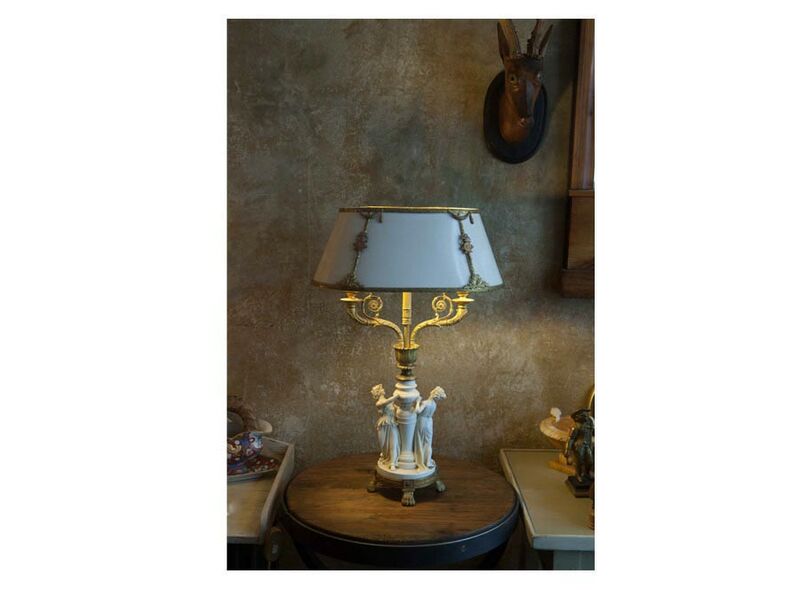 Related links to "French White Desk Lamp"
Customer evaluation for "French White Desk Lamp"